An Amtrak police officer is accused of beating an Iraq War veteran at a housewarming party in New Jersey. Police say an Amtrak police officer beat an Iraq War veteran from New York City at a housewarming party in New Jersey. Officer William Gonzalez is charged with aggravated assault after officers said Gonzalez knocked out Guillermo Balseca on the deck of Gonzalez's Woodbridge home earlier this month. Balseca tells WNBC-TV in New York he and the others had been drinking. But he says there's no excuse for the level of violence that landed him in a hospital and Gonzalez should be fired. 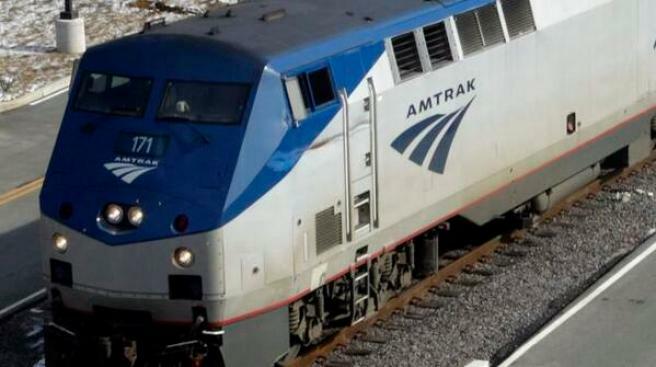 An Amtrak spokesman says Gonzalez has been placed on paid desk duty. Gonzalez's lawyer, Darren Gelber, says his client has filed his own counter-complaint against Balseca. He says his client believes he acted lawfully. The Middlesex County Prosecutor's Office is evaluating the complaint.